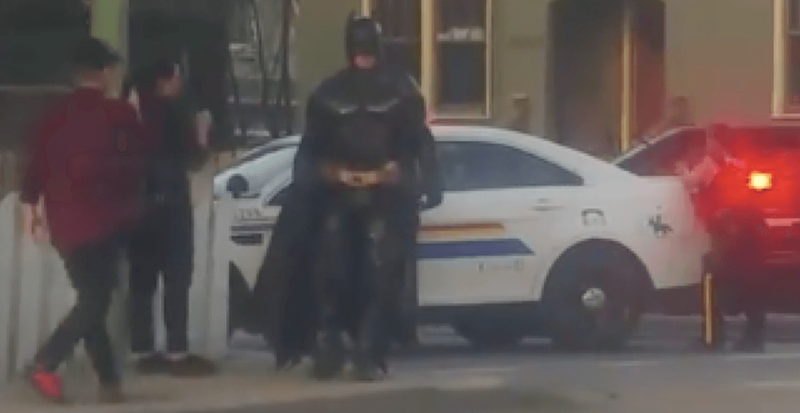 He might be the hero the city of Kelowna needs, but Batman is apparently not the one local RCMP want – especially when it comes to showing up unannounced at police incidents. In a video posted to Facebook by Melissa Parent, the Dark Knight himself can be seen arriving at a police incident at a residence in the city. He told Daily Hive that further investigation revealed that no firearm was involved and no charges were laid. Still, officers were less than impressed by the Caped Crusader’s appearance at the scene.